As many of you know, I spent the summer shooting for Seattle Magazine. I’ve been sent to photograph restaurants, stores, non-profit organizations, and an eclectic assortment of people in the news--attorneys, community activists, chefs, and legislators. When I was assigned to shoot “Le Petit Cochon,” I did wonder why they were sending their only Jewish photographer to “The Little Pig” -- a pork restaurant that was opening soon. 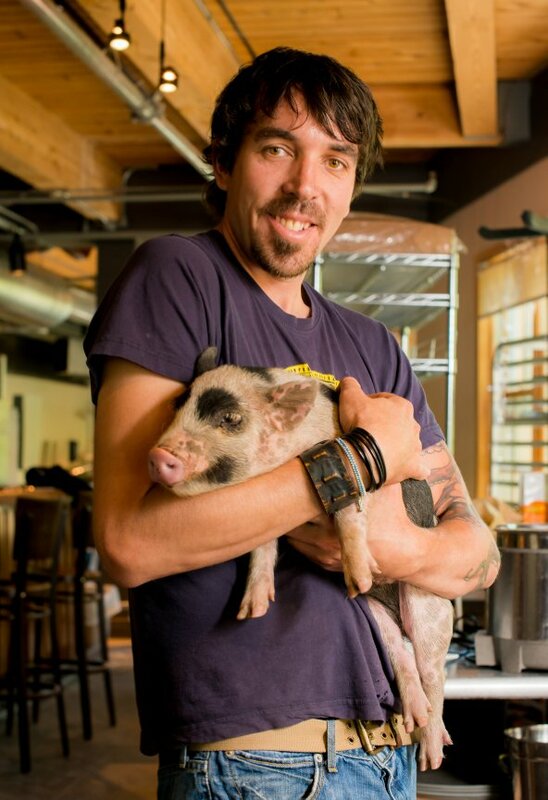 But then I considered the creative possibilities and I asked the chef, Derek Ronspies, if he could get a baby pig for the photo shoot. Derek wasn’t sure where to actually get a pig, which I thought was strange, considering his specialty. But he was able to round up Henry from a local petting zoo. And I got the green light from the Art Director to include Henry in the photos for Seattle Magazine. Henry wasn’t the most gracious of subjects. He squealed a lot. We fielded stares from pedestrians just outside the restaurant. You could see “why are they butchering a pig in the middle of Fremont?” on their faces. But Derek and Henry got along splendidly. Alas, there was no little piggie in the photo of Derek and the restaurant that ran in the October issue of the magazine. Henry was cropped out. Maybe the images of Henry juxtaposed with the cutting board, a huge knife and some garlic were taking artistic liberty a little too far. The images didn’t bother me---but then I don’t eat pork. I am just sorry that Henry missed out on his 15 minutes of fame.